Life is all about the harmony of balance. For example, look at Sweden. They fucked Western civilization with the invention of mind-numbingly difficult ‘easy to assemble’ Ikea furniture, but then got back in our good graces by mass producing delicious candy fishes of their namesake. Without darkness, light is meaningless. This concept is wholly embraced by Somath, a musician from the Swedish island of Oland and lone driving force behind ISGARDE. 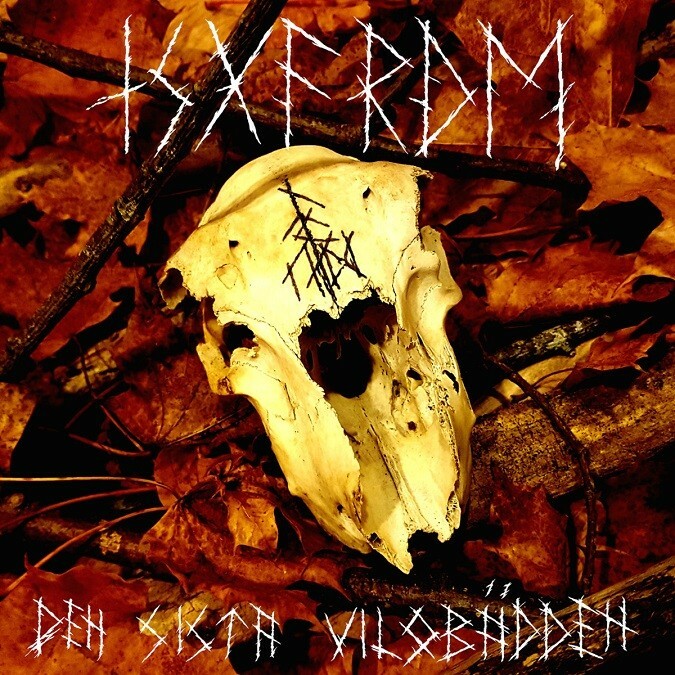 The new album, ‘Den Sista Vilobädden‘, is heavily rooted in the traditional style of Scandinavian black metal and accentuated by noticeable blasts of folk, pagan, and viking metal. With artwork by Tim Nordstedt Design, the album was released in November 2018. Rather than force you to excavate the often unrewarding caverns of online black metal repositories, I decided to do all the heavy lifting myself and drop this one right in front of you. ISGARDE maintains a dimension of heaviness, while having an exceptional grasp on when to change tempo and add varying layers of ambiance. “Klätt I Frostens Nålar“, “Slaget Vid Öland“, and “Höstens Erövring” are all energetic archetypes. Well, you’re right, friendo… it is. So awesome in fact, I set sail in the Riff Relevant Corporate Viking Ship and paid a visit to the man himself for a few quick questions. Check out the interview below the audio stream. RIFF RELEVANT [Halsey]: Congrats on the new album ‘Den Sista Vilobädden‘! You have forged one of the more evil sounding black metal albums at the close of 2018. Can you tell us about life on the Swedish island of Oland? ISGARDE [Somath]: Thank you. I can tell you that it’s quiet, which is a good thing. Rich in nature. The town I’m living in, called Borgholm, has about 2000 inhabitants, which I guess would translate to a small neighborhood in America. RIFF RELEVANT [Halsey]: Please save our cheeseburger loving, Budweiser chugging, American readers (aka Me) the trouble of using google translate, what does Isgärde – Den Sista Vilobädden mean in English and what significance does it have? ISGARDE [Somath]: Isgärde is actually a place on Öland. I thought about to use that name several years before I started the project. ”Den Sista Vilobädden” translates to something like ”The Last Resting Place”. It was a suiting name for the overall theme for the album, as it deals with, to put it simple, decay. The title itself came up while studying funeral customs. RIFF RELEVANT [Halsey]: Do you have ambitions to tour with a full band, or is Isgärde only designed to be a solo project? ISGARDE [Somath]: Rather than design, I would say Isgärde’s destiny is to remain a solo project, with a few guest musicians participating at times. In other words, I have no ambition to play live. RIFF RELEVANT [Halsey]: What is it about black metal that attracts so many musicians to take on all the recording responsibilities alone? ISGARDE [Somath]: Perhaps people involved in this genre have a stronger urge to transmit something very personal, as well as a lone wolf mentality. I can, of course, only speak for myself. When I write and record it is an extremely fast process which few can keep up with, plus I enjoy being able to oversee everything from composing, recording, and producing. In this way, there is no compromise and I have absolute freedom. RIFF RELEVANT [Halsey]: What bands have influenced you in your own music? ISGARDE [Somath]: I do not listen to as much music nowadays as I used to. I can’t pinpoint any certain bands, but it all comes from what I grew up with. 90’s Scandinavian black metal, mostly underground stuff. I got into the whole tape trading world in 1996. That forged my musical path. RIFF RELEVANT [Halsey]: Anything else you want to add for the readers? ISGARDE [Somath]: Yes. Feel free to check out my Dungeon Synth project called Vetraheimr. Can be found on Bandcamp [LINK] where you can find Isgärde, as well [LINK}. Thanks for the interview.